You may be wondering how often you should visit the dentist. Our Edmonton Dentists share why it's so important to attend regular dental checkups at least once a year, and ideally every six months. The ultimate goal of regular dental visits is for your dentist to see you often enough to ward off any developing oral health issues. Problems like cavities and gum disease can both lead to pain and tooth loss. Seeing your dentist and dental hygienist regularly can help prevent them altogether or, at the very least, stop them from getting worse. Your dentist understands that life gets busy, so if you have good oral health, visiting your dental office for a professional hygiene exam and cleaning once a year may be fine. 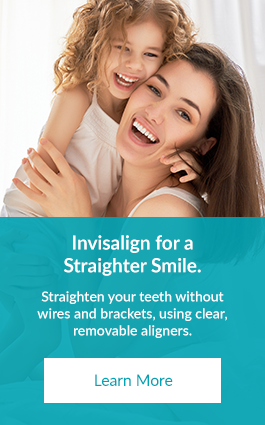 Going twice a year is really ideal because it gives your dentist an even better chance of identifying, preventing or treating developing problems. Your dentist will be able to advise you on the current state of your oral health, and make recommendations for the nature and frequency of your dental appointments. 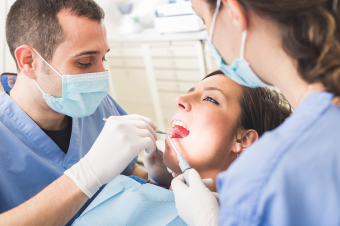 Also keep in mind that most insurance companies typically cover visits every six months, making it more financially manageable for patients with dental coverage. Comprehensive dental exams and cleanings at your dental office are an important way to maintain your oral health, and prevent future disease. Regular exams by your dentist, including x-rays, are an opportunity for them to examine your overall oral health and identify any other procedures you might need, like a filling to repair a cavity or a root canal to address infection. Cleanings by your dental hygienist allow them to scrape away plaque that is constantly forming on your teeth and gums. If you don’t get rid of this plaque regularly, it can harden into tartar, which can cause gum disease. Even by brushing and flossing your teeth at home you won't be able to remove the tartar yourself. If you are nervous about visiting the dentist, don't fret. Dental anxiety is a common condition, and the team at our dental office can help support you so you can get into the dentist's chair and get the care you need. Remember, your dentist and hygienist are here to make you healthier, teach you about good habits at home, and encourage you to keep coming back to help prevent disease. Contact our Edmonton dentists to schedule a dental exam and cleaning today, and get your oral health on track.